Additional Information: "We Dare You To Say His Name Five Times!" Review: Helen Lyle is a student who decides to write a thesis about local legends and myths. 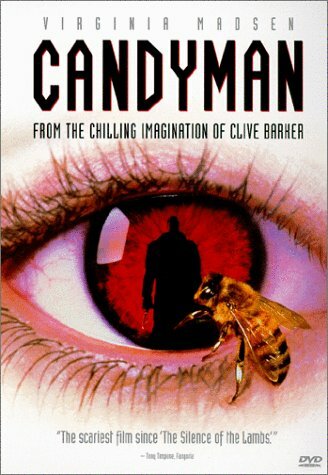 She visits a part of the town, where she learns about the legend of the Candyman, a one-armed man who appears when you say his name five times, in front of a mirror. Of course, Helen doesn't believe all this stuff, but the people of the area are really afraid. When she ignores their warnings and begins her investigation in the places that he is rumored to appear, a series of horrible murders begins. Could the legend be true? Additional Information: "Evil comes when you call his name." Additional Information: "Blood is sharper than the blade"
Review: The ghostly serial killer returns once again from beyond the grave this time to haunt a Los Angeles art gallery owner named Caroline McKeever, a distant relative of the Candyman, in order for him to claim her soul so she will be next to him while in the meantime, the Candyman goes about killing all those associated with Caroline in the usual gory ways with his hook and making it appear to the authorities that Caroline is the one responsible for the killings. Last edited by pure on Fri May 09, 2008 1:48 am, edited 5 times in total. 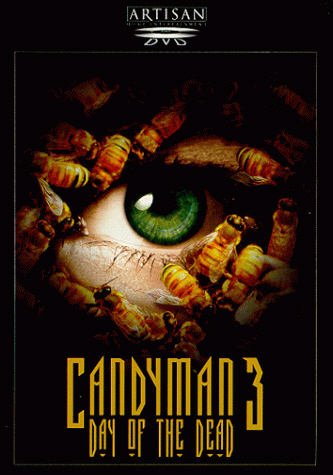 don't get your hopes up, no where near as good as the first... three is terrible. Not in a good way either. 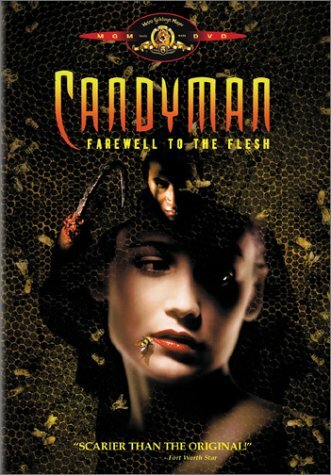 I have a candyman movie at my laptop for some time now and I actually haven't watched it yet, maybe it's time.